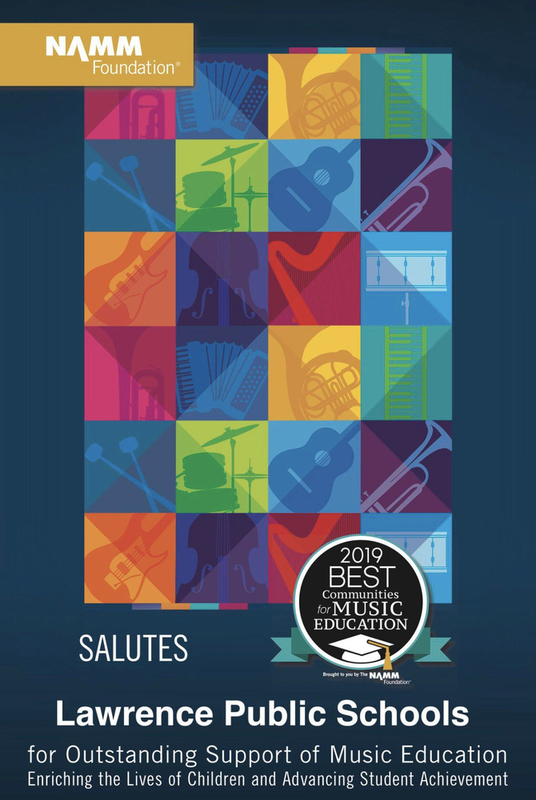 This award, given for the second consecutive year recognizes the commitment and dedication of LAWRENCE PUBLIC SCHOOLS to music and the arts as innovative learning opportunities for a well-rounded education. LAWRENCE PUBLIC SCHOOLS has been named one of 600 districts across the nation to be a Best Communities for Music Education recipient by The NAMM Foundation. LAWRENCE demonstrates an unwavering commitment to providing comprehensive music education for all students.